Amazon.com Login Form – Bad Design? I have a great respect for Amazon.com especially for its AB-testing culture and for the well tested recommendation engine. However, whenever I look at their login form, it raises some questions in my mind. 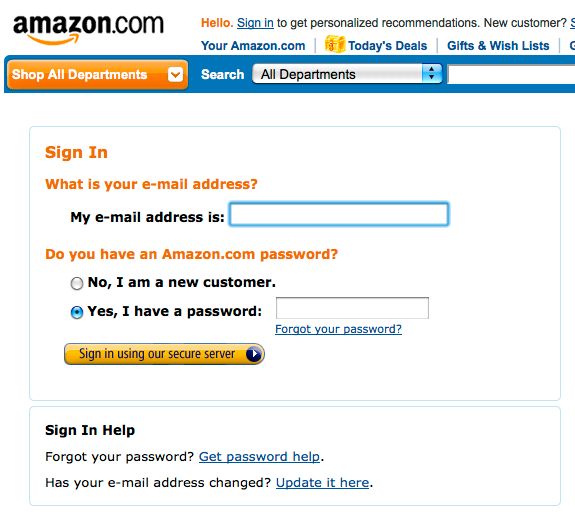 When you click on the login link from Amazon.com home page, you see the following login form (as of April of 2011). The problem I have with this login form is that it is the login page – it says ‘Sign In’ at the top, but it asks if I have a password. The radio buttons on the left are unnecessarily drawing my attention (as it is human nature to be tempted to react to any actionable form fields) while I am trying to fill in the password. Even when I’m clicking on the Sign-in button, subconsciously, I am never sure if I took all the needed steps. I don’t have the actual data on this, but I’d imagine that only 5%~10% of the users who click on Sign-In link would use the ‘No, I am a new customer’ radio button option. 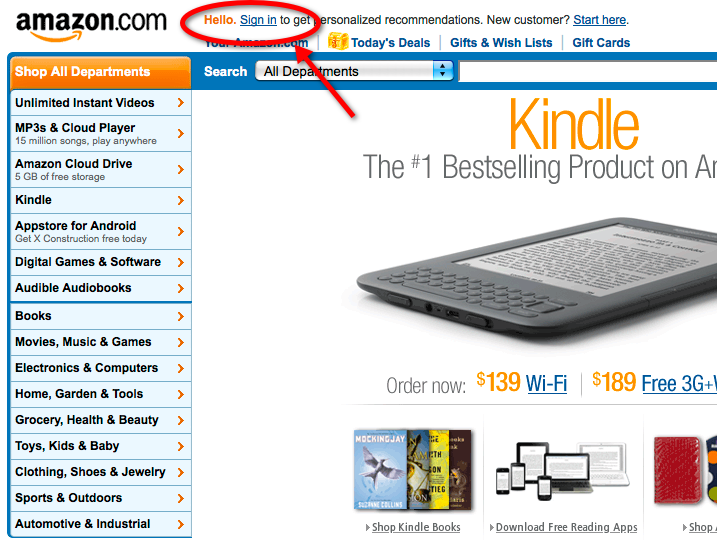 I think Amazon.com might be using this page for one of the first steps for check-out flow. I am advocating that pure Sign-In flow should be designed around Sign-In flow and not be mixed with Check-Out flow requirements. When you ask users to log in, you should simply ask for Login name and password. 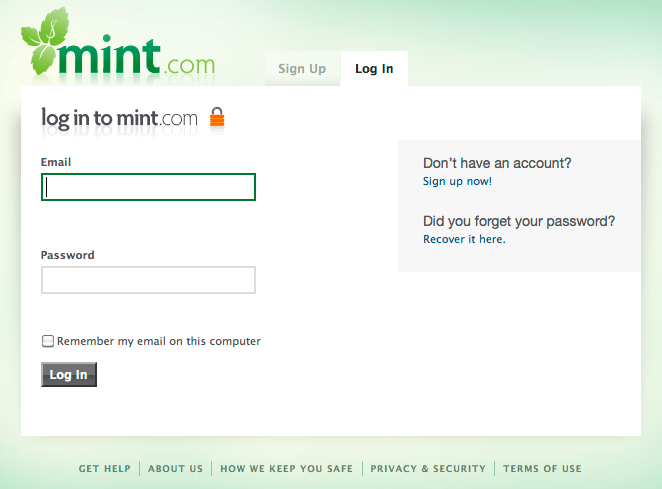 In that sense, Mint.com has the login form just right. It does exactly that and Sign Up flow is discoverable, but secondary. Previous iOS Cloud Sync Coming Soon?